Stainless Steel ASME SA554 TP 317L Mechanical Tubing, High Quality Stainless Steel ASTM A554 Hollow Tubes, TP 321 SS Hollow Tubing, 347 Stainless Steel Hollow Tubing Stock Holder, ASTM A554 Welded Austenitic Stainless Steel 904L Hollow Tubes, SMO 254 Stainless Steel Hollow Tubes Dealer. This guide covers standard specification for welded stainless steel tubing for mechanical applications where appearance, mechanical properties, or corrosion resistance is needed. The tubes shall be made from flat-rolled steel by an automatic welding process without the addition of filler metal. Tubes shall be furnished in one of the following shapes - round, square, rectangular, or special. Piyush Steel is a recognized distributor and supplier of ASTM A554 Austenitic Stainless Steel Hollow Tubes, which has some great features to offer such as easy to install, high strength, can withstand high pressure, and more. 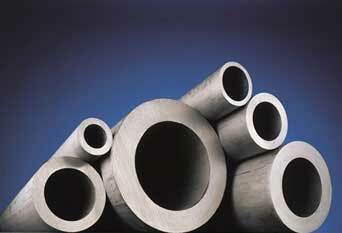 In order to cement our position, we are successfully presenting a wide and quality assured gamut of SS Hollow Tubes. Offered product is manufactured by our reliable vendors using premium grade stainless steel. These tubes are accessible in a wide gamut of grades, shapes and lengths and recognized for its rust resistance nature. It is widely demanded in the market due to easy installation and accurate dimensions. 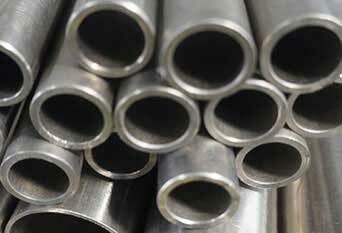 The offered steel tube is accessible in varied specifications as per the needs of customers. ASTM A554 Stainless Steel TP310 Hollow Tube, ASTM A554 TP 316 Hollow Tubing, ASTM A554 SS TP 304L Tubes, TP310 Stainless Steel Hollow Tube Dealer, ASME SA554 SS UNS S31254 Tubes, A554 TP 316L Tubing, SS ASTM A554 TP 317 Rectangular Hollow Tubes Manufacturer in India. Welded Austenitic Stainless Steel ASTM A554 Tubing, A554 UNS S30400 Tubes, ASTM A554 Tube, ASTM A554 Stainless Steel Tube, Stainless Steel ASTM A554 Hollow Tubes, ASTM A554 TP304 Hollow Tubes, ASTM A554 SS Hollow Tube, ASTM A554 Square Hollow Tubes Supplier in Mumbai, India. We hold expertise in offering a high grade range of ASTM A554 Hollow Tubes that is known for its high tensile strength, robust construction and longer functional life. This steel tube is manufactured by vendor’s experts using finest material and sophisticated technology keeping in pace with set norms. 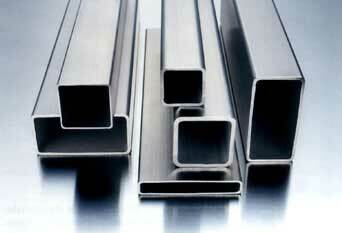 Our provided steel tube is inspected by quality experts so as to ensure the faultlessness. Offered range is checked by quality controllers on various parameters to assure excellent performance. These ASME SA 554 SS 316 Mechanical Tubing are demanded for diverse structural applications. They are used in areas like petroleum, power, papermaking, chemical, aviation, boiler heat-exchanger and others. 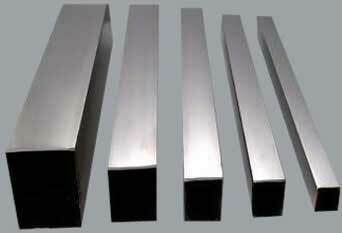 The most well known application stainless steels are probably for cutlery and kitchenware. Probably the most demanding industries that use stainless steels are the chemical, processing and oil & gas industries have created a large market for stainless tanks, pipes, pumps and valves as well. Stainless steels and other corrosion resistant alloys are extensively used in the power generation industry to combat corrosion, particularly at elevated temperatures. Also large amounts of stainless steel are used in food production and storage. We Supply ASTM A554 / ASME SA554 SA 316L Hollow Tubes of various origin’s and companies like Nippon Steel & Sumitomo Metal, Sandvik, Sanyo Special Steel, Kobe Steel, Schoeller Bleckmann, Salzgitter Mannesmann Stainless Tubes, Tubacex etc. Other Names : ASTM A554 TP304, ASTM A554 TP304h, ASTM A554 TP309, ASTM A554 TP310s, ASTM A554 TP316l, ASTM A554 TP316h, ASTM A554 TP316ti, ASTM A554 TP317l, ASTM A554 TP330, ASTM A554 TP321, ASTM A554 TP321h, ASTM A554 TP347, ASTM A554 TP347h, ASTM A554 TP904l, ASTM A554 UNS S31254, ASTM A554 UNS S30400, ASTM A554 UNS S30403, ASTM A554 UNS S30409, ASTM A554 UNS S30900, ASTM A554 UNS S31000, ASTM A554 UNS S31008, ASTM A554 UNS S31603, ASTM A554 UNS S31609, ASTM A554 UNS S31635, ASTM A554 UNS S31703, ASTM A554 UNS N08330, ASTM A554 UNS S32100, ASTM A554 UNS S32109, ASTM A554 UNS S34700, ASTM A554 UNS S34709, ASTM A554 UNS N08904.